Simply using a BORROWED deck and a rubber band, you can amaze everyone. Ask the spectator to choose any card -- they can even sign it. Lose the card in the deck, and then tie up the deck with a rubber band. Leave the deck on the table for a moment and, at your command, the card shoots out like a bullet! It really shoots from the middle of the deck, not from the bottom or the top. The spectator can examine everything. They will find nothing but the isolated deck and this pure eye-popping miracle! Download the video and start performing this today. 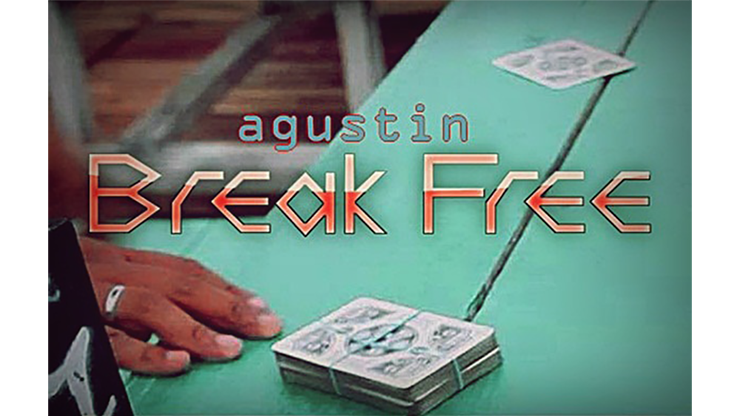 Break Free by Agustin video DOWNLOAD Simply using a BORROWED deck and a rubber band, you can amaze everyone.